Usagi and the other girls appear on stage and recount the events of the previous musicals involving Death Vulcan. In Transylvania a lone werewolf is by herself in the forest. Dark Cain then appears and tries to destroy it, claiming that all the other vampires and werewolves have been killed but this lone child one absorbs all his energy. Count Dracul, Vampiru and Mandrake arrive and defend the werewolf. Le Fay appears and has apparently been reborn as a Nightmare, a being with no real body and with a pure evil spirit. Cain and Dracul fight to a standstill. Cain then leaves as a mysterious man summons Death Vulcan to come to Earth and leaves. Dracul tells Vampiru to destroy the werewolf but she refuses. Mandrake then decides to comfort the child and she begins to cry about being the only one left of her kind. Mandrake then decides to take her to Japan. On their way they run into Mandrake's sister. She joins them on their journey. In Tokyo, Japan all the girls are very happy. Suddenly the clock chimes and Usagi realises she's late. She runs off to school. Minako, Ami, Makoto and Minako follow her. Setsuna then tells the other Outers that Chibi Usa is unable to return to the 30th Century as Death Vulcan is active on Earth and is disrupting time and space. She summons her staff and tries to open the gate of space and time but nothing happens. The Outers then talk about how they've planned to defeat Death Vulcan by themselves. Usagi returns and is upset as she doesn't want them to do this and doesn't like people sacrificing themselves. Haruka reminds her that it's their mission and that they would happily do anything for her and leave her to look after the planet Earth. The Outers leave. Rei, Makoto, Ami and Minako who have also returned comfort Usagi but they're soon attacked by a mysterious man called, Magi Saint Germain who asks them to transform so he can measure their power. 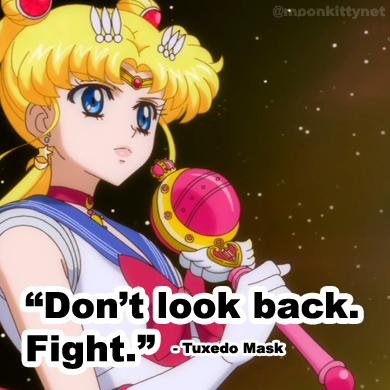 Tuxedo Mask and Sailor Chibi Moon arrive and begin to fight them but they're of little help. Usagi then transforms into Sailor Moon and uses Moon Healing Escalation on Magi Saint Germain but it has no effect. Vampiru arrives and tries to help but Dark Cain (or his energy anyway) arrives and together they capture Ami, Minako, Makoto and Rei and begin to remove their Star Seeds. Sailor Moon gives Magi Saint Germain her Moon Wand which contains the Imperium Silver Crystal and with it teleports back to the temple in Transylvania as darkness fills the stage. Ami, Makoto, Minako and Rei awaken, trapped in a dark cell unable to transform due to the tampering of their Star Seeds. Suddenly a mysterious women appears before them and says that she's Planet Vulcan. She tells them that as long as they remember Princess Serenity their Star Seeds can never truly be damaged. Death Vulcan then screams at her to disappear and she does. He then zaps the four girls as they scream in pain. In Transylvania, Usagi, Mamoru, Chibi Usa and Vampiru arrive and Dracul's castle. Usagi realises that she has reverted back to her civilian form. Suddenly they all hear someone coming and hide. The werewolf, Mandrake and his sister, Mandrako arrive and begin looking for an underground entrance. Dracul then arrives and tells them that the entrance is off limits. Vampiru, Usagi, Chibi Usa and Mamoru then come out of hiding as Magi Saint Germain and Dark Cain arrive and gloat over having the Imperium Silver Crystal. Dracul calls Usagi and idiot. Mandrako turns on her brother and tries to capture him. Sailor Uranus, Saturn, Neptune and Pluto arrive and begin to defend everyone. Pluto tries to stop time to prevent Death Vulcan from getting closer to Earth but fails. The Outers are caught and Magi Saint Germain begins to remove their Star Seeds. He then teleports the Outers, Dark Cain and himself to the planet of Vulcan and attempts to seal Usagi and the others in Dracul's castle. On Planet Vulcan Dark Cain talks to the mysterious woman who spoke to the Inners before. Seems they were one being many years ago but were split in two. This woman also appears to be Sailor Astarte! All of a sudden, Princess Serenity appears from the past and says that the Imperium Silver Crystal won't work for anyone and that it chooses it's owner. 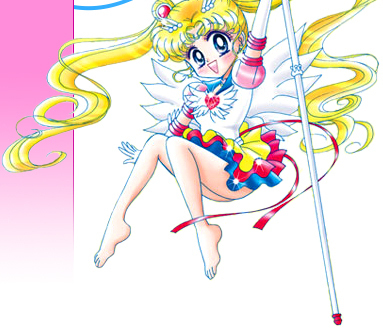 She then frees Sailor Venus, Mars, Mercury and Jupiter and sends them with the crystal, back to Usagi on Earth. In Dracul's castle, Usagi, Mamoru, Chibi Usa, Vampiru, Mandrake and the werewolf are surprised to see that they aren't trapped at all. Vampiru suspects it's because all of them are representatives of their tribes. The Inners then arrive and give Usagi the crystal back. Usagi claims that she knew that this would happen all along but noone really buys that. Usagi transforms into Super Sailor Moon and then teleports herself and the Inners to where Dark Cain is. After they disappear, Dracul arrives as does Dark Cain who attacks them all. He manages to capture Vampiru and then takes Dracul to a place called the Dark Tablet which is apparently as old as the universe itself. There he and Death Vulcan propose a truce and attempt to conquer the universe together. Elsewhere, Magi Saint Germain is overlooking the struggling Vampiru and commenting on how the Outers are still fighting their imprisonment. Suddenly Sailor Pluto and Saturn free themselves and attack their captors. Unfortunately the space where they are distorts their powers and their attacks prove useless. Sailor Neptune and Uranus then join them having been freed by Saturn and Pluto and together they attack with a Sailor Planet Attack but it also proves useless. Dark Cain then arrives and attacks the werewolf. The child staggers to where Vampiru is bound and gives her some of her blood before collapsing. Vampiru breaks free and attacks Dark Cain as Super Sailor Moon and the Inners arrive. The female personification of Vulcan appears and it's revealed that her and Death Vulcan had always been suffering due to being split in half but while they were a part of the solar system, none of the other planets knew of their existence let alone their strife. One by one the Sailors recall how in their past lives they all sensed some sadness from space and realise now that they were sensing Planet Vulcan. Super Sailor Moon asks what Death Vulcan and Dark Cain want. Vulcan says he wants to conquer the entire universe and Cain says he wants a world of nothing. Super Sailor Moon says she will grant their wishes but what they just wished for is not what they truly want. Death Vulcan then powers up to attack. The Sailor Soldiers brace themselves and Super Sailor Moon transforms into Eternal Sailor Moon. They all attack with a Sailor Planet Super Attack. When the dust settles Mandrako seems to be healed. Dark Cain isn't content though and moves in for the big kill. He zaps Tuxedo Mask in an attempt to get the Golden Crystal which is the heart of the Earth. During the fight the female Vulcan grabs the male Death Vulcan and drags him to the tablet. Eternal Sailor Moon and Super Sailor Chibi Moon then seal the tablet with Double Honeymoon Therapy Kiss and merges the two Vulcans into one planet spirit. Dracul then appears and takes Cain to the Underworld with him. As he flies into the sky the stage is plunged into darkness. Eternal Sailor Moon transforms into Princess Serenity and with the power of the Imperium Silver Crystal, heals everything and everyone. And then to an instrumental version of Fire, perform their curtain call. All the performers run onto stage one after another and bow while having a lot of fun in the process. Everyone waves to the audience with the long time cast members getting the biggest applauses. The show then ends and prepares for the second part of the performance! One by one the performers come on stage and sing and dance to an assortment of popular Sailor Moon Musical songs. There's no story as such, just a selection of everyone's favourite tracks from all the Sailor Moon Musicals that have been performed thus far. Preparing for the finale, all the Sailor Soldiers and several backup dancers perform a medley of several famous Sailor Moon classics. The "Pretty Soldier Sailor Moon Non-Stop Melody" contains the following songs: La Soldier, L'Amour D'Amour Moonlight, Double Moonlight Romance (inst), La Moon, Chasin' After You (inst), Densetsu Seitan - Legendary Birth, Beryl's Theme (inst), La Fatalite Sei-Senshi - The Fatalistic Star Soldiers, Springtime of Youth (inst), Everlasting Moonlight, Mina Dareka ni Ai Sareta - Everyone is Loved by Someone (inst), Link, Fire. "Can I affiliate with Moonkitty.net?"